Wat is dit voor site? Wij zoeken de goedkoopste boeken op internet. Formless Infinityvonden we het goedkoopst op Bol.com voor €181.99. We hebben gezocht in nieuwe en tweedehands boeken. Rechtsonderaan de pagina kan je het boek direct bestellen	via Bol	.com. In contemporary psychoanalysis, a key concept and aim of clinical practice is to distinguish the boundaries of any mental state. Without this boundary-setting, the patient has nothing but the 'formless infinite' of primitive mental states. 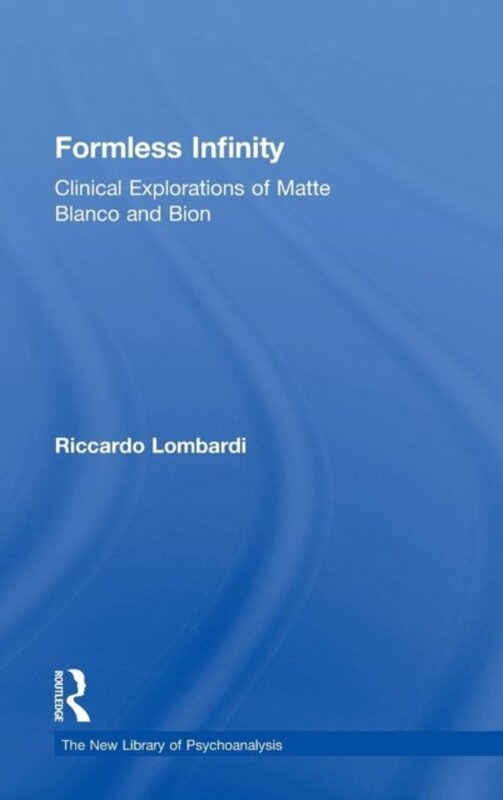 Formless Infinity: Clinical Explorations of Matte Blanco and Bion draws on the work of these two authors to explore how analysts can work with patients to reveal, understand and ultimately contain their primitive mental states. Riccardo Lombardi discusses the core concepts of the unconscious, the role of the body in analysis, time and death. He displays the clinical implications of Matte Blanco's theoretical extension of Freud's theory of the unconscious, presenting numerous clinical examples of working with psychosis and other severe pathologies. Formless Infinity, a stimulating teaching text for students, trainers and seasoned mental health practitioners, is essential reading for psychoanalysts and psychoanalytic psychotherapists. It is particularly recommended to analysts interested in widening the scope of the analytic practice by exploring the functioning of the deep unconscious, primitive mental states, psychosomatic pathologies and psychotic conditions.